What is the purpose of NDAR? Is the NDAR policy available? Where does NDAR get its data from? Who can submit data to NDAR? What type of data are in NDAR and will the data be expanded over time? If I am submitting an application to the NIH for funding, how should I include NDAR in my data sharing plans? If my NIH application is funded, what steps do I follow so that data I generate can be submitted to NDAR? Do you have an API for Data Dictionary? How do researchers submit data to NDAR? Does the NIH have reference materials for Independent Review Boards (IRBs) or research participants about NDAR? What is considered a valid signature for institutional signoff on an NDAR Submission Agreement or Data Access Request? How can I establish an "Institutional Business Official" for my organization? Are data within NDAR subject to a Freedom of Information Act (FOIA) request? As stated in the NDAR Policy, the NIH expects that all submissions to NDAR will include a certification by the responsible Institutional Official(s) of the submitting institution and that the expectations of the Policy have been met for data submission. For multi-site studies, is the submitting institution expected to certify data that are contributed by data collection centers at other institutions? Are submitting institutions expected to certify that data submission is consistent with applicable laws and regulations in effect at any and all locations at which data were collected? What technology does a researcher need to contribute data to NDAR? Can imaging and genomic data be submitted to NDAR? What is a data dictionary and where can I find the NDAR Data Dictionary? Does NDAR accept all types of phenotypic data? Should data be submitted to NDAR cumulatively or in installments? How should the NIH intramural staff submit data to NDAR and request access to NDAR or federated data sources? When contributing to NDAR, are data from all human subjects expected or are data only from those subjects that are diagnosed with ASD expected? In addition to research data, is there any other information expected when contributing data to NDAR? In a clinical trial, should I submit data from all subjects screened? When estimating the cost of a data submission, should I base my hourly rate on total costs or direct costs? How are data organized in NDAR? When will the NIMH Data Archive Share My Data? How will updates to data within NDAR be handled? What quality control processes and measures are in place in NDAR? Is NDAR a repository for biological samples (e.g. tissues, DNA, cell lines)? Can non-research entities (e.g., law enforcement agencies, insurance companies, employers, lawyers) request access to identifiable information corresponding to phenotype and genotype data held in NDAR? Is a Certificate of Confidentiality necessary for data submitted to NDAR? What data should an investigator provide to NDAR? Can a parent provide his or her child's medical and assessment data directly to NDAR? Can NDAR compile all information about a single research participant, even if it was submitted by different researchers and at different times? Who may access shared NDAR research data? How do I request access to data contained in NDAR? What is a Data Use Certification? Can the researcher who contributed the data to NDAR be identified? What technology does a researcher need to access data? Will only data collected from NIH-funded studies be made available through NDAR? Which data in NDAR can researchers use if they are approved for access? What is the process for deciding who will gain access to the data submitted to NDAR for broad research access? Does a researcher need to pay a fee to access NDAR data? As a researcher, I may have data that would be of value to NDAR and the ASD research public. Is there funding available for submitting data to NDAR? As a researcher, I have a grant application that proposes to use data made available in NDAR. When will NDAR data be available for research use? Is it possible to share data with only specific investigators through NDAR prior to the completion of a study? When can the data I submit be accessed by approved researchers? Can the NDAR GUID be used for research purposes, even if there are no plans to share research data with the NDAR Portal? Can NDAR be used as a repository for data unrelated to ASD research? What access rights/account privileges should I request when requesting an NDAR Portal account? How do I obtain an NDAR Accession Number for my publication? How do I cite my own, or somebody else's, NDAR dataset in my publication? How does the research community provide input on the capabilities of NDAR? What does data "federation" mean and why is it important to NDAR? What is the GUID and why is it so important to NDAR? What is the NDAR Governance Structure? How does NIH control access to data within NDAR? What is the role of the NDAR Data Access Committee (DAC)? What technical measures has NIH taken to ensure NDAR is secure and protected? What administrative and policy measures are taken to ensure that the data contained in NDAR are protected? NDAR stands for the National Database for Autism Research. NDAR is a biomedical informatics system and research data repository developed by the National Institutes of Health (NIH). NDAR provides the infrastructure to store, search across, and analyze various types of data. In addition, NDAR provides longitudinal storage of a research participant's information generated by one or more research studies. In other words, NDAR is able to associate a single research participant's genetic, imaging, clinical assessment and other information even if the data were collected at different locations or through different studies. By doing so, NDAR gives researchers access to more data than they can collect on their own and provides robust tools to analyze the information, making it easier and faster for researchers to gather, evaluate, and share autism research information from a variety of sources. Standards to enable cross site meta-analysis and data comparisons across bioinformatics systems. Deployment of useful bioinformatics tools for researcher use. Promotion of the sharing of quality research data with autism research community. Query access to a repository of phenotypic, genomic, imaging and pedigree research data. The approved NDAR policy and the Ongoing Study Policy Addendum are available at http://ndar.nih.gov/ndarpublicweb/policies.html. NDAR holds data provided by autism researchers. Initially, the data from the eleven Autism Centers of Excellence were deposited and shared in NDAR. In 2009, the number of grants with the expectation of data sharing increased to 35,including autism research projects funded through the American Recovery and Reinvestment Act of 2009. Today, over 120 grantees funded by the NIH have an expectation of sharing data with NDAR. NDAR is also being used as a collaborative space by autism-related researchers who do not have the expectation to share data. Additionally, NDAR accepts high-quality research data from a number of projects, regardless of funding source and location, and is working to connect relevant research repositories. Researchers interested in submitting data should review our Data Contribution section and then contact NDAR in preparation for submission. Any researcher who has acquired research data related to ASD may apply for approval to submit data to NDAR. Refer to Data Contribution and then contact NDAR in preparation for submission. Currently, NDAR is set up to accept standard phenotypic data, imaging and genomic/pedigree data related to human subjects (see FAQ #41 for more information on the imaging and genomic formats supported by NDAR). NDAR has developed a data dictionary system allowing investigators to define additional ASD and non-ASD data elements and measures. Refer to the Data Dictionary for the listing of NDAR's defined data structures. All ASD or ASD-related applications for NIH funding are strongly encouraged to share their data with NDAR. Applications should include a description of the principal investigator's intent to submit data to NDAR, the type of data to be submitted, and the anticipated timeline for submissions. To support the costs associated with data submission, include the NDAR Cost Model into the budget of your application. Refer to the NDAR Cost Estimation section for more details. Follow the steps defined on the Contribute page. Contact NDAR with any question that you may have. A brief data sharing checklist is provided on this page along with video tutorials on the steps necessary to contribute data. Yes. The NDAR Policy addresses informed consent concerns for both prospective studies and retrospective studies using existing data. In addition, NIH has obtained a Certificate of Confidentiality and developed sample informed consent language. NIH has also prepared a brochure for research participants. A valid signature for these certifications is that of an Institutional Business Official. In general, an Institutional Business Official is the person working in a research organization's business office who has signature or other authority. For Grants.gov, that person is called an authorized organizational representative; for the NIH eRA Commons, they are referred to as a signing official. Contact us at ndarhelp@mail.nih.gov if you do not know who your institutional business officials are. The easiest thing to do is to register with the NIH eRA Commons, which is the grantee interface into NIH (https://commons.era.nih.gov/commons/registartion/registrationInstructions.jsp). NIH personnel will verify the business official (also known as the signing official) that you designate and notify you when your organization has been registered with the system. Then you'll be ready to complete NDAR's certification forms and agreements. As an agency of the Federal Government, the NIH is required to release government records in response to a request under the FOIA, unless they are exempt from release under one of the FOIA exemptions. Although NIH-held data is coded and does not hold direct identifiers to individuals within NDAR, the agency recognizes the personal and potentially sensitive nature of the genotype-phenotype data. Furthermore, the NIH takes the position that technologies available within the public domain today, and technological advances expected over the next few years, make the identification of specific individuals from raw genotype-phenotype data feasible and increasingly straightforward. Therefore, the NIH believes that the release of unredacted NDAR datasets in response to a FOIA request would constitute an unreasonable invasion of personal privacy under FOIA Exemption 6, 5 U.S.C. 552 (b)(6). Among the safeguards that the NIH foresees using to preserve the privacy of research participants and confidentiality of genetic data is the redaction of individual-level genotype, phenotype, and other data from disclosures made in response to FOIA requests as well as the denial of requests for unredacted datasets. No. The submitting institution need not certify that the expectations of the Policy are met for data collected by other institutions within its multi-site arrangement. The NIH understands that the submitting institution is not necessarily the local institution or IRB of record for all data collected in a multi-site trial. However, the submitting institution should assure the NIH through the submission of the certification document within the Data Submission Agreement that it believes, based on either its own review or assurance from other institutions, that the expectations of the Policy are met for the entire dataset. In obtaining assurance from other sites in a multi-site study, the submitting institution should retain copies of any information it receives from other data collecting sites. No. Submitting institutions are expected to certify that data submission is consistent with applicable laws and regulation relevant to their specific activities (e.g., home state law, home institutional policies, etc). Submitting institutions may assume that all prior data transfers from data collection sites to the submitting institution (e.g., a data coordinating center) were conducted according to any applicable laws relevant to the those organizations at the time of the original data transfer. The NIH, however, does expect that all data were collected in accord with 45 C.F.R. Part 46. As discussed in a separate FAQ, this assurance in multi-site studies can be made on the basis of a direct review of study materials by the submitting institution or based on information or assurance provided to the submitting institution by data collecting organizations. NDAR accepts clinical assessment and phenotypic data in both tab delimited and comma-separated value (CSV) formats. Imaging, genomics, and other rich data sources have more complex formats. For more information, refer to our Data Contribution section. Once data is defined, the submitter will use the NDAR Validation Tool to validate the data, creating a package for data submission. This tool requires a recent version of the Java runtime environment (JRE). The NDA is able to accept imaging, and some genomic data, along with clinical assessment data and phenotypic data. Those submitting imaging and genomics should review the tools and steps need to properly harmonize these data, including the Experiment Definition Tool for functional imaging. For imaging data, the NDA supports DICOM, NIFTI, AFNI, MINC 1.0, MINC 2.0, Analyze, SPM, GE, Siemens, and MIPAV formats. For genomic or other -omic data, the NDA can accept only ASD and ASD-related omics data into NDAR. Other omics data must be made available through other databases. To share this data, the Experiment Definition Tool must also be used. This tool harmonizes the naming of data processing and analysis protocols, requires entering sufficient details, and enforces unambiguous interpretation of the entered information. In this way, the consistency of raw experimental data is guaranteed, while the process of definition is simplified for submission and aggregation across federated repositories. The NDAR Data Dictionary defines the data supported for submission to NDAR. See Data Dictionary Tool section for an overview of the NDAR Data Dictionary. NDAR supports assessments defined in the NDAR Data Dictionary and allows investigators to define their own data structures if they are not included in the dictionary. If you do not find a clinical assessment defined in the NDAR Data Dictionary, send us your codebook or develop your own data structure using our provided template. All data should be submitted to NDAR cumulatively, with the exception of imaging and genomic data that remain unchanged. Clinical and phenotypic data should be provided cumulatively allowing NDAR to perform extensive quality checks on the data. All datasets will be replaced each submission cycle, simplifying versioning of the data being submitted. In addition, once a dataset has been shared, it is set to archived status. NIH intramural ASD research projects approved on or after June 30, 2011 are expected to address the submission of research information to NDAR. The procedures will be the same for submitting data and requesting access to NDAR or to federated data sources for both intramural and extramural researchers. NDAR is interested in all research data relevant to ASD. This would include data from control subjects, subjects with related co-morbid conditions as well as those subjects with ASD. As a general rule, for NIH Grants, NDAR would expect data from the same number of subjects as those reported on the 2590 Inclusion Enrollment Report, including subjects eventually excluded from research analysis. In general, NDAR is interested in receiving non-identifying human subjects research data. To help clarify contributed data, NDAR also allows an investigator to upload/link relevant documentation describing the contributed data. In addition to project summaries, data collection methods and exclusion criteria can be made available in NDAR and shared. Such information is invaluable in helping other researchers understand the contributed data. While information characterizing the research is expected to be included, the decision on what should and should not be provided is best made by the contributing investigator. For clinical trials, generally only those subjects who are randomized/enrolled into the trial should have data submitted. The cost of data sharing in NDAR should be included in your direct costs, and the hourly rate calculation based only on salary and fringe benefits. Indirect costs are taken into account separately by your institution. When an investigator is authorized to submit data to NDAR, he or she has the ability to organize one or many datasets into a single entity called an NDAR Collection. In general terms, a Collection is a container for the data that is submitted, allowing an investigator to describe, in detail, any data collected and the methods used to collect the data. Once data is submitted to a Collection, a researcher may then link that data to an NDAR Study hypothesis, defining population and subpopulations specific to the aims of an his or her research. Descriptive data (demographics, summary subject measures, diagnostic measures), outcome measures establishing baselines and raw data (e.g. sequences, unprocessed Neurosignal recordings and MRI data) are typically shared soon after submission. Subsequent submissions replace the data already shared. Within reason, an investigator has full control of when these data are shared. This is done by specifying the share date for the measure within the data from labs data expected tab that’s now available online. Conflicts on timing are resolved by the NIH Program Officer or the Funding Agency representative. Outcome measures and analyzed data should be shared when a publication is accepted. The Data from Papers Study capability allows for sharing of only the precise subjects specific to a publication or finding (positive or negative). Using this capability, only the outcome measures and analyzed data supporting that finding are shared. Other data will remain embargoed until those data are published in a separate study or the defined sharing dates occur, which is typically at the end of the project. Should a Study not be defined on published data, the NIMH Data Archive will notify the investigator of the need to create a study allowing the rest of the project’s data to remain embargoed. Once data are made available in the shared repository, those data cannot be changed. Data are expected to be refreshed with cumulative data according to the defined submission schedule. Previous versions of data remain available in NDAR, allowing for analysis of changes from one submission to the next. The NIH is implementing a two-tiered data control procedure for information and images submitted to NDAR. Such efforts help to ensure that the information submitted has undergone reviews for accuracy, completeness, and availability. The first level of quality control is performed by the researcher who is expected to certify the accuracy of the information prior to submission. Additionally, all data provided to NDAR undergoes automated validation using the NDAR Data Validation Tool before it is even received into NDAR. The NDAR Validation Tool checks the data proposed for submission against the NDAR Data Dictionary to ensure that the data comply with the standards established. Currently, this tool provides item-level validation. The second level of quality control occurs when data and/or images are submitted to NDAR for broad research access. The NIH provides a period of time as specified in the Notice of Grant Award for the investigator, to undertake activities to review the completeness, accuracy and quality of the submission. Such efforts include verifying that the information received by NDAR is complete (i.e., not missing records intended for submission), contains no identifying information, displays correctly, and that the NDAR toolset functions as expected with the information. During this timeframe, access to data and brain images for research is temporarily suspended to help ensure that NDAR makes available only carefully reviewed information. In the event that the NIH determine that additional time is necessary to ensure the quality of the submitted information (e.g., time necessary to remedy concerns), the NIH may opt to extend the quality control period as necessary in the interest of science. After quality control measures are satisfied, the submitted information will be certified as accurate by the submitting researcher and will be available for sharing to those users with permission to view shared data. Refer to the NDAR QA/QC Procedures for more detail. No, NDAR does not accept, store, or access biological samples. However, NDAR provides reference to biological samples located elsewhere enabling researchers to contact such biological repositories helping an investigator to gain access to such samples. The NIH acknowledges that legitimate requests made by law enforcement offices for access to data may be fulfilled. The NIH does not possess direct identifiers within NDAR, nor does the NIH have access to the link between the data code and the identifiable information that may reside with the primary investigators and institutions for particular studies. The release of identifiable information may be protected from compelled disclosure by the primary investigator's institution if a Certificate of Confidentiality is or was obtained for the original study (please see NIH Certificate of Confidentiality Policy). The NIH strongly encourages investigators to consider obtaining a Certificate of Confidentiality as an added measure of protection against future compelled disclosure of identities for studies planning to collect genome-wide association data. No. The NIH strongly encourages, but does not require, institutions to obtain a Certificate of Confidentiality for eligible studies that plan to contribute research subject data to NDAR. The NIH considers a Certificate of Confidentiality to be an important but not mandatory research tool, available to assist research organizations in protecting the privacy of their research participants. Congress designed these certificates as a way of encouraging potential research participants to participate in studies, given a common concern that public knowledge of their participation could lead to potentially negative consequences. The NIH strongly encourages the submission of ASD-related phenotype, imaging, genotype, and pedigree data, and other data as appropriate, to NDAR and will accept quality ASD research data regardless of funding source or location of collection. To learn more about the type of data that NDAR can accept, refer to the NDAR's Contribute page for more information. No. Only researchers with an approved Data Submission Agreement may submit data to NDAR. If, however, the child's health care provider is also a researcher, the health care provider could request to submit data to NDAR. Yes, although data submitted to NDAR are de-identified such that the identities of research participants cannot be readily ascertained or otherwise associated with the data by the repository staff or secondary users. Research participants should be made aware during the informed consent process that other researchers will have access to their coded research data in NDAR and should also be informed about the existence of a risk to their privacy, if any. In fact, investigators approved to submit data to NDAR and their institutional officials certify that an IRB and/or Privacy Board have considered the risks to privacy prior to submitting the data. In addition, institutions and investigators granted access to NDAR data sign a Data Use Certification (DUC) agreeing to not make any attempt to re-identify individual participants, use the data only for approved purposes, and protect data confidentiality, among other stipulations. The National Database for Autism Research and related repositories (NDAR) are NIH supported data repositories set up to accept omics, imaging, and neurosignal recordings data and results related to mental health. Raw or nearly raw data received from research instrumentation (sequencers, MRIs, EEG headsets) are also accepted by NDAR and expected. For those submitting -omics datasets to NDAR, we will ensure that the same data is registered and made available in the NLM supported systems (e.g., dbGaP SRA). For qualified researchers who are interested in using raw and analyzed -omics data (e.g., FASTQ, BAM, or VCF), NDAR will support access for just in time computation. However, these data are not to be persisted (i.e., stored) beyond the time necessary for computation. For those interested in downloading and storing raw -omics data, the source for those data will be NLM supported repositories (i.e., dbGaP and SRA). NIH will provide access to scientific investigators for research purposes. Researchers who have completed a Data Use Certification and received approval from the NDAR Data Access Committee (DAC) may be approved to access broadly shared data in NDAR. A separate request process exists for access to data in federated sources. Additionally, the DAC and NDAR support staff at NIH have access to NDAR data. Notify the Data Access Committee of policy violations. Provide annual progress reports on research using NDAR data. The Data Use Certification is contained in the Data Access Request. Procedures to request data access to NDAR data are defined in the Data Contribution section of the NDAR website. Yes. When data are submitted, the researcher provides information related to the data, including his or her name, an overview of the data and how it was acquired, and other pertinent information associated with the research. This information is made available to other researchers, in accordance with the NDAR Policy and procedures. NDAR currently supports an interface with recent versions of Microsoft Internet Explorer, Safari, and Firefox. In addition, a current version of the Java Runtime Environment (JRE) is required download and to submit data. NDAR accepts data from other researchers, regardless of funding source. Currently, only data from the NIH Autism Centers of Excellence awardees and NIH Intramural researchers are being included in NDAR. However, NIH encourages others to complete the steps defined at Data Submission of the NDAR website. Researchers approved for access will be granted access to the entire collection of shared data in NDAR. This includes access to data contributed by NIH-funded extramural researchers and intramural researchers, as well as research institutions or organizations that are not necessarily funded by NIH. Note that federated data resources may define different data access requirements. Additionally, data specified under NDAR's Ongoing Study capability is excluded from this provision. The NDAR Data Access Committee (DAC) will review requests from research investigators seeking access to NDAR datasets. The DAC will review requests to determine whether the proposed use of the dataset is scientifically and ethically appropriate. The access request process involves submission of a Data Use Certification, co-signed by the investigator and the authorized Institutional Official(s). The Data Use Certification should include a brief description of the proposed research use of the requested NDAR (see FAQ #55 for details on the Data Access Request). No, there are no fees to access data stored within NDAR. NDAR is a resource funded by the NIH. Consult your Program Officer for funding opportunities related to NDAR. Should new opportunities become available, they will be communicated through the NDAR newsletter. NDAR will begin to provide data available for broad research access in 2009. However, investigators interested in using this data for prospective studies funded by the NIH are encouraged to complete the NDAR Data Access Procedures and include the request within their application. Data sharing prior to the completion of a study is possible through NDAR's Request for Ongoing Study option defined by standard operating procedure SOP-9. Submitters are in the best position to determine whether new uses of data are appropriate during the time that a study is ongoing, and collaboration requires communication between the Submitter and the potential Recipient. Therefore, the NIH wants Recipients seeking access to data from an ongoing study to coordinate with the Submitters. This coordination may result in a decision to collaborate, a decision to authorize access-absent collaboration, or a decision to delay access until a study is complete. NIH may revisit this policy in the future but believes, at this time, that a consultation process is an essential means to expand access to NDAR data in a timely fashion without compromising the valuable contribution and trust of NDAR Submitters. Data provided to NDAR for broad research access are expected to be made available within nine months of submission to allow sufficient time for data quality checks. However, for most new projects awarded by the NIH, a four month period before the data is expected to be shared. A specific schedule for submission to NDAR is best determined between the investigator and the funding agency. For ongoing studies, data may be shared with specific investigators up to publication or primary objectives are met. NDAR recognizes that an efficient method to identify a research subject without the need to distribute personally identifiable information (PII) is of value to the ASD research community. Therefore, NDAR will support ASD researchers interested in using the NDAR GUID for this purpose, even if the researcher has no immediate plans to share data with NDAR or an NDAR federated data resource. For researchers conducting research in areas other than ASD or interested in hosting the GUID software, first contact NDAR to discuss your needs. No. NDAR is not funded to support research communities unrelated to ASD. However, NDAR would be happy to provide any lessons that we have learned or provide other general information that would be helpful to those interested in establishing platforms similar to NDAR. The privileges requested in the Account Privileges section depend on the role of the user. A Data Manager should request an NDAR Portal Account and GUID privilege. Query Access to the specific collection should also be requested if the Data Manager will be involved in reviewing data submitted as part of the QA/QC process. A Data Manager would not typically require Collection Creation access as NDAR Collections should be created by the Principal Investigator. A Principal Investigator should request an NDAR Account, Collection Creation and Query Access. The Collection Creation capability should be requested by a Principal Investigator as he/she should create the NDAR Collection to which data will be submitted. We also encourage all new investigators to receive query access to NDAR. The Principal Investigator would not typically require a GUID Client as GUIDs will likely be created by the Data Manager. The NIMH Data Repositories will provide an accession number for submitted data that has been associated with a specific publication (including publications that are still being drafted). After data have been deposited with an NIMH data repository, you will need to create a Study through the Data from Papers interface (https://ndar.nih.gov/data_from_papers.html) where your will associate these data with your study. Once you have defined a study you will be provided with an accession number and URL for the study, along with text for how the data should be acknowledged in your publication (See FAQ #63 for how to cite an NDAR dataset). Your NDAR study (and associated data) will remain private until your study is shared. It is expected that the study (and associated data) will be shared no later than the time of publication. If you have any questions about how to submit data, or how to create an NDAR study please contact ndarhelp@mail.nih.gov or look at the tutorial videos located at https://ndar.nih.gov/contribute.html. The NIMH Data Repositories Data Submission Agreement specifies how an NDAR dataset should be cited, and includes the following acknowledgement text. If the publication is based on datasets that were not submitted by the publication author(s), submitters of these datasets should also be acknowledged. NIH is keenly interested in collaborating with the ASD research community to help accelerate scientific discovery. NDAR has solicited input from the community in a variety of meetings, webinars, and formal workshops. Visit the About Us page to learn more about ongoing collaboration between NDAR and the research community and feel free to contact us at ndarhelp@mail.nih.gov to learn more about NDAR and/or becoming involved. Data federation aggregates data from different and often physically distributed systems that exist outside of a central system such as NDAR. NDAR uses technology to access such data sources and provides simple, efficient access to ASD research data that reside outside of NDAR. Autism research data exist in many such databases located around the world, but differing access procedures and inconsistent data standards/formats often combine to create insurmountable barriers to data reuse and collaboration. Rather than moving data from various sources into NDAR which can invoke additional complications, NDAR has deployed data "federation" technology allowing researchers to access important research data directly in a simple, consistent manner through the NDAR portal. In doing so, researchers use a uniform interface to perform a single query to search and return data from multiple interconnected sources in a seamless fashion. Today, NDAR connects to the Interactive Autism Network, the Autism Genetic Resource Exchange, the Autism Tissue Program, and the Pediatric MRI Data Repository. The NDAR GUID, or "Global Unique Identifier", allows NDAR to associate a single research participant's genetic, imaging, clinical assessment and other information even if the data were collected at different locations or through different studies. The GUID is created from personally identifiable information such as a subject's name and date of birth, however this information is never transmitted to or stored in the NDAR database. A video tutorial on the GUID process is available at on the public website. Important: When collecting a research subject's personally identifiable information (PII) at a research site, be sure to ask for the full legal name as it appears on the subject's birth certificate. Additionally, it is important to include the town or municipality of birth as it appears on the subject's birth certificate. By ensuring that this information is acquired and entered accurately at the research site, it is possible to identify subjects across research projects and allow for the definition of a subject population without having to share protected PII. Researchers who anticipate submitting research data to NDAR should design their information collection procedures prior to subject enrollment to ensure the collection of all information needed to generate a GUID. In addition, researchers who are not expected to submit data to NDAR are encouraged to collect this information from subjects in the event that research data may be submitted to NDAR in the future. In the event that all subject information needed to generate a GUID is not available, a pseudo-GUID can be generated and assigned to a participant; however, valid GUIDs should ideally be used for all subjects to increase the linkage of research data now and in the future. The NIH has developed a governance structure for NDAR. The Director of the National Institute of Mental Health (NIMH) oversees NDAR, its policy, and implementation. 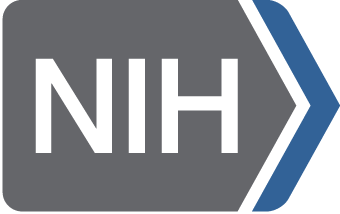 In carrying out this responsibility, the NIMH Director participates on a Governing Committee, with several other NIH Institute and Center Directors, or their designees that fund NDAR. The NDAR Governing Committee is responsible for the on-going management and stewardship of NDAR Policy and procedures. Reporting to the Governing Committee are several groups and teams charged with the implementation, communication, and development of specific procedures related to the conduct, submission, and data release practices for NDAR. One of these groups, the NDAR Implementation Team, is responsible for overseeing NDAR Policy and data access to promote consistent and robust participant protections in NDAR. Revisits and revises the NDAR Policy as appropriate. The NIH established a Data Access Committee (DAC) to oversee access to the data contained in NDAR. Investigators and institutions seeking data from NDAR must complete and submit a Data Use Certification signed by the investigator. The document must be co-signed by an NIH-recognized business official at the investigator's affiliated institution that has Federalwide Assurance (FWA). NDAR DAC procedures are posted in NDAR's Standard Operating Procedures section. Access to data in federated data sources are governed through the Data Access Committee and the procedures established by that federated data source; however, users may request access to a federated data source through their NDAR account. Membership of the NDAR Data Access Committee (DAC) includes Federal staff with expertise in areas such as relevant scientific disciplines, research participant protection, and privacy protections. The NDAR DAC approves submission of data and/or images to NDAR and determines researcher access to NDAR resources. The DAC approves access to data and/or images from NDAR for research purposes only. The DAC will review the NDAR Data Access Request of each Recipient requesting data and provide access based on the expectations outlined in the NDAR Policy. These expectations include the protection of data privacy, confidentiality, and security. In the event that requests raise concerns related to privacy and confidentiality, risks to populations or groups, or other concerns, the DAC will consult with other experts as appropriate. To ensure the security of the data held by the repository, NDAR employs multiple tiers of data security based on the content and level of risk associated with the data. Datasets stored in NDAR are under strict security provisions, including but not limited to multiple firewalls, separate servers, and data encryption protocols. As a federal information system, NDAR follows the recommended security controls defined by the National Institutes of Standards 800-53r1 and related publications. NDAR undergoes an annual independent certification and assurance audit specific to the controls defined in 800-53r1 ensuring that the defined management, data recovery, procedural, and technical controls are followed. Additionally, all NDAR policies are reviewed on an annual basis. As detailed in the NDAR Policy and implemented following the procedures (see NDAR Policy and Procedures), investigators and their sponsoring institutions seeking access to data in NDAR must submit a data access request that specifies both the data to which access is sought and the planned research use. In addition, the investigator must agree to the terms of access set forth in the Data Access Request. NIH has established a Data Access Committee (DAC) to oversee and approve access to NDAR.